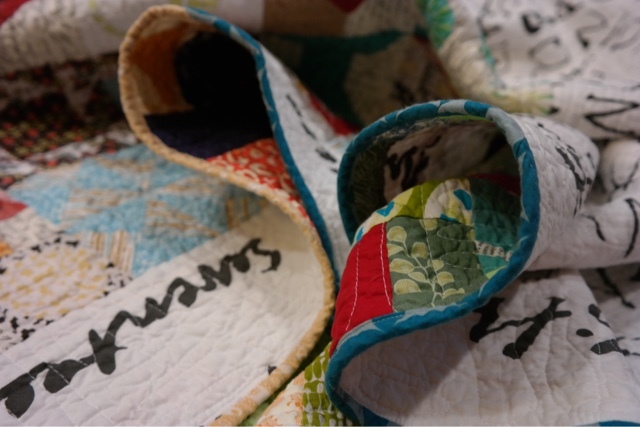 I am sneaking into Blogger's Quilt Festival at the very last minute. 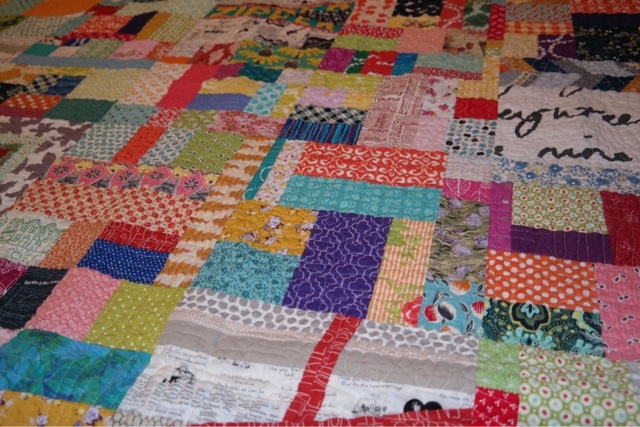 I have decided to enter my Kitchen Sink quilt into the "Scrap Quilt" Category. I think it's pretty obvious why I chose this category.Thank you to Amy Ellis for hosting this always inspiring event and allowing us to show off our creations for all to see. Here is the blog post I wrote about it last month. It's one of my favorite photo shoots, ever. I wish there was a Quilt Photography Category. I pieced the 25 Farmer's Wife blocks that I abandoned several years ago into one big block and used it on the back of the quilt. 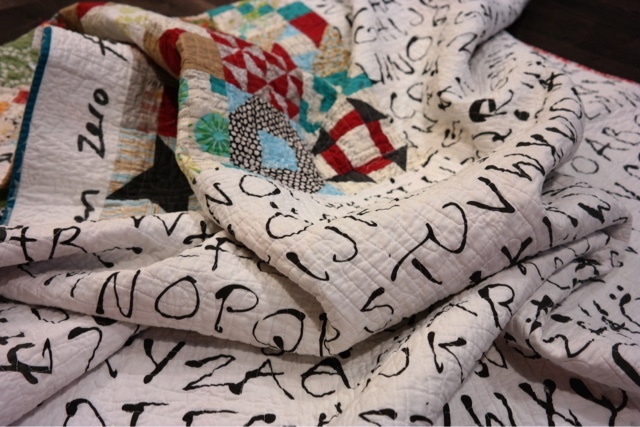 I didn't like my fabric choices at the time, but they look pretty good all together on the back of the quilt, surrounded in an IKEA Alphabet print duvet cover and a strip of the IKEA Nummers print. 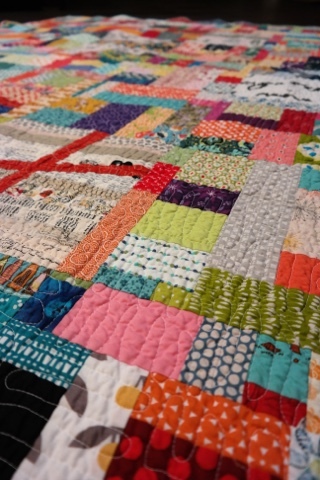 oh I'm glad you entered this quilt - one of my very favorite quilts AND photoshoot! 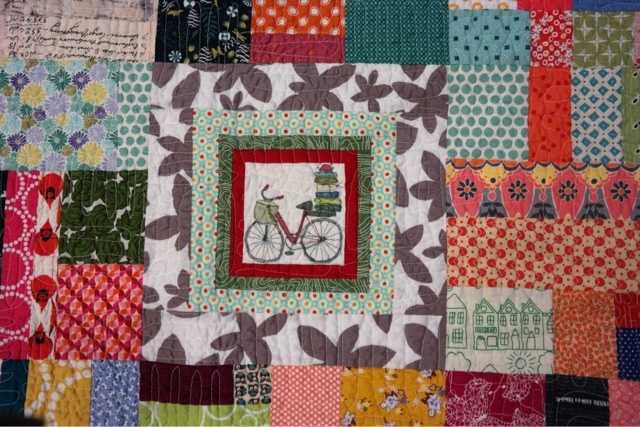 Love the bike block and the zipper! 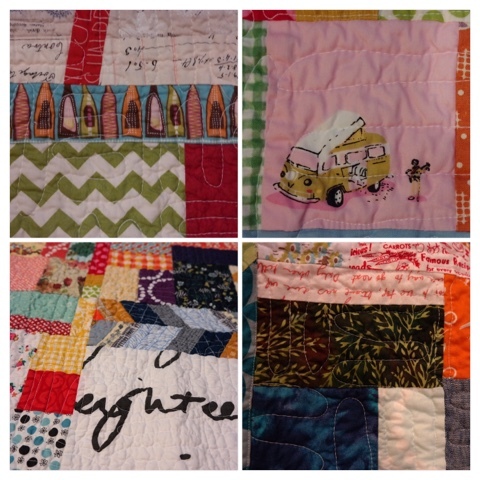 It's such a fun quilt! I love love love this!! 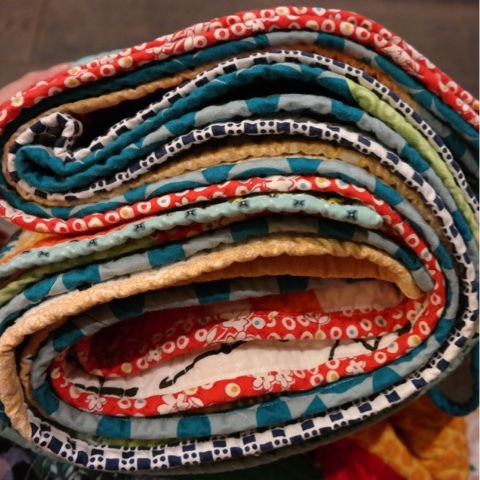 I so want to make a scrap vomit quilt, but I fear letting go of control by just letting it happen! And the blocks on the back came together beautifully! ! I love this idea. 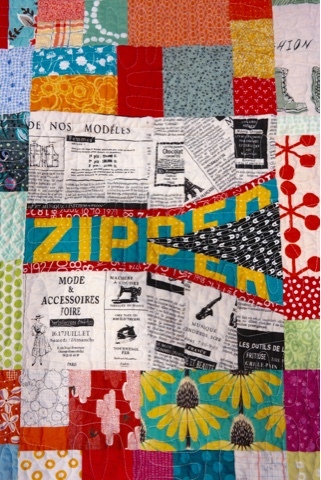 It's a perfect scrap buster of a quilt and my eye always gets drawn to that zipper block. 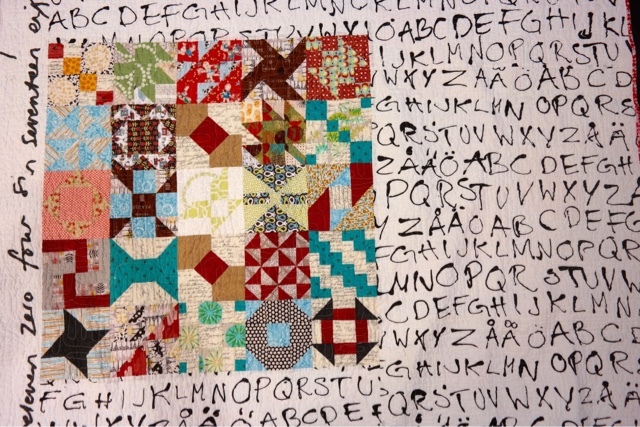 I may have to round all my unused blocks up and do something similar. Certainly much better than leaving them in a freezer bag in a heap! Love your photo op. Perfect. 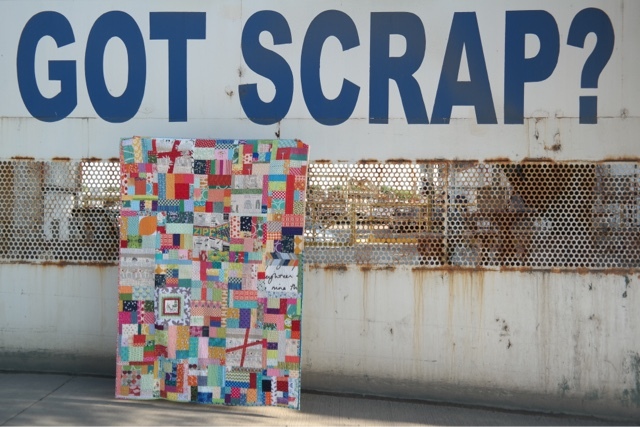 What an awesome scrap quilt! Love the "Zipper" fabric. Orphans, uglies, and the BEST. Photo shoot. EVER!! !